The long wait is worth every second! After the release of the much anticipated movie, Kahaani 2, Arjun Rampal, who plays the role of sub-inspector Inderjeet Singh in the same, is all set to bedazzle the big screen again in his upcoming drama/thriller ‘Daddy’, in which he portrays the character of gangster-turned-politician Arun Gawli. The release date of the movie has not been revealed yet but the makers of the biopic have launched the first official teaser today giving signals that we may see it in theaters early next year. In this compelling teaser, Arun Gawli is shown sitting in a prison with his head down answering the questions of a policeman. It is only when he is asked his name that he lifts his head up, sees directly into our eyes, and utters, ‘Arun Gulab Gawli’. This is the moment when we get to see Arjun’s ferocious eyes. 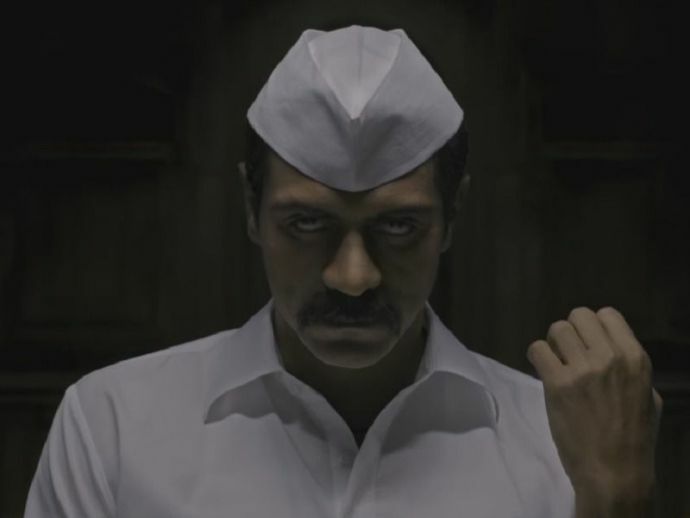 The resemblance of Arjun Rampal as Arun Gawli is truly uncanny.